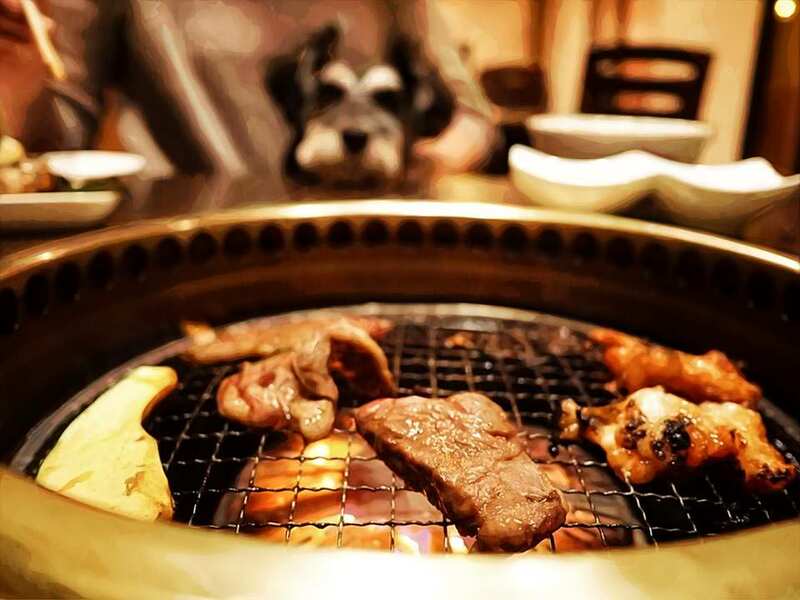 Ushisuke is a yakiniku restaurant with multiple locations in Tokyo, where — yes — you can actually bring your pet dogs along to enjoy delicious grilled meat. Oh yea, this is a real thing. A restaurant you can bring our dog to. It’s even staffed with professional trainers and dog lovers to ensure a fantastic environment for your canine friend. There’s even a special dog-healthy menu for your pet and the food is delivered in food bowls like you probably have at home. It’s a well-lit, bright, fun atmosphere and also non-smoking. But, if you’re a smoker, there is a smoking area available outside. It’s not without its rules though. You can’t let your pet sit up on the tables and you can’t use utensils like chopsticks to feed your dog. This is essentially so the shop can remain clean and hygienic for all patrons and pets alike. I wouldn’t say it’s especially English friendly. The menus are in Japanese and don’t have a lot of pictures either. The sign outside the restaurant is in Japanese, unassuming, and feels almost like a sign you’d see on a normal business rather than a restaurant accepting pets. But don’t let that discourage you. The staff are friendly and will work with you to get your order right. And my article “How to order just about anything in a restaurant in Japan” can help. How much does Ushisuke cost? Expect to spend about ¥4,000 per person for dinner. If you come at lunch time there are meal sets for around ¥1,000, a big savings. Visa, Mastercard, and American Express credit cards are accepted here — and guess what, there is parking available — but spots are limited (Tabelog).